I found some obscure treasures this past week. A few of them were from Rasputin’s on Telegraph Avenue (just down the street where we’ve been working with MMDG at Cal Performances) and the rest were from Down Home Music, a really wonderful store that Aaron Greenwald drove me to yesterday. Starting with the obvious, some late Hawes that for some reason I don’t have anymore. Neither of these made much impression previously, but I may be wrong. Nice humble liner note by Hawes on High in the Sky. I like the score to Sunset Boulevard (who doesn’t?) so I’ll give Waxman’s “jazz” a try. 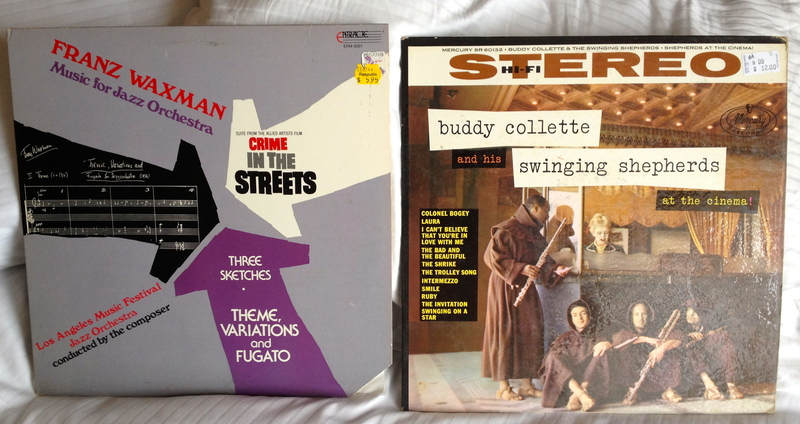 Never owned a Buddy Colette record, but know he was important to Mingus and Dolphy. These are apparently jazz treatments of film music, could be interesting. 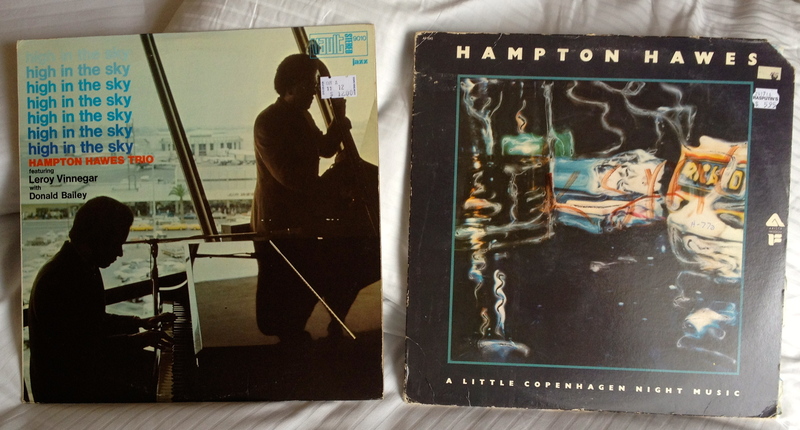 Slide Hampton is someone I need to know more about, the repertoire is solid and the rhythm section is A+: Albert Dailey, Ray Drummond, Leroy Williams. McPherson has Williams too along with Ron Carter and Barry Harris (the production on those Mainstream discs are usually disappointing, though). I believe Sam Most died the day I purchased Flute Flight, one of the few albums with Donald Bailey I’ve never heard. The Sweets has Tootie Heath on drums! I’m sure that’s going to be great. I had no idea that Lonnie Liston Smith made a piano trio record with Cecil McBee and Al Foster. And Norman Simmons has a great cast for some bop blues. Al Harewood just turned 90, by the way. He’s not playing that much anymore but his health is reportedly excellent. The Joe Sullivan was kind of expensive but I’m quite curious to hear it. From 1953, as far as I know unavailable on CD despite being on Riverside. Eubie Blake’s discography is hard to find your way around in, but this 1971 one has “Dicty’s on 7th Ave.” and a few other rags written using the Schillinger System. (I’m available for research and liner notes if Blake’s estate wants to finally produce a definitive box set of his best.) I haven’t heard any Freddie Slack in years! I think he’s pretty good, actually, I know Hampton Hawes liked him. 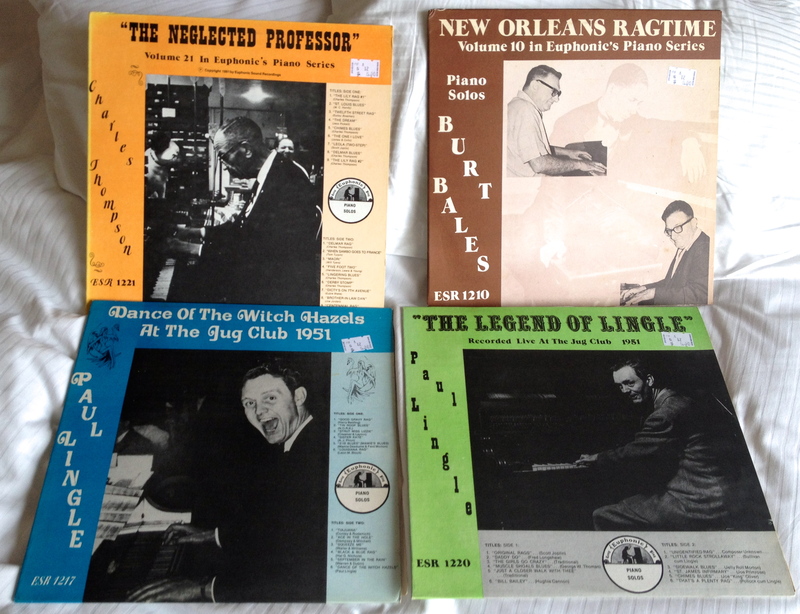 And finally, four LPs of pianists on Euphonic Sound Recordings. Larry Kart just recently told me about Paul Lingle, a major talent. There’s only one CD, split between Lingle and Burt Bales (who’s also good) called They Tore My Playhouse Down. I was very impressed, and am looking forward to hearing these hard-to-find LPs. Don’t know much about Euphonic, but it seems to me that they deserve a proper reissue box, too.